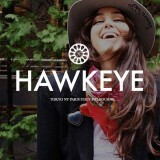 Hawkeye Vintage – Exquisite one off vintage designer clothes and accessories. Pristine Vintage, POLuxury, High end fashion brand clothing, couture, jewels, scarves,bags and other unique vintage items collected from all over the world, 20’s-80’s. 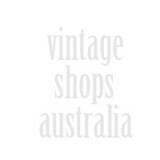 Vintage Luggage Company – Specialising in rare and vintage pieces from the Houses of Louis Vuitton, Goyard, Oshkosh, Hartmann and others from around the world.